U-shaped banquette - If you have a rectangular table, then a u-shaped banquette that surrounds the table and leaves one side open will allow for the most seating options. Curved banquette - For a smaller space, curve your banquette around a circular table for the most flexible seating arrangement. Enclosed banquette - If you don't have too much space to work with, consider a table with two banquettes. This little booth setup will provide a cozy area to eat, but won't be too flexible in terms of seating arrangements. 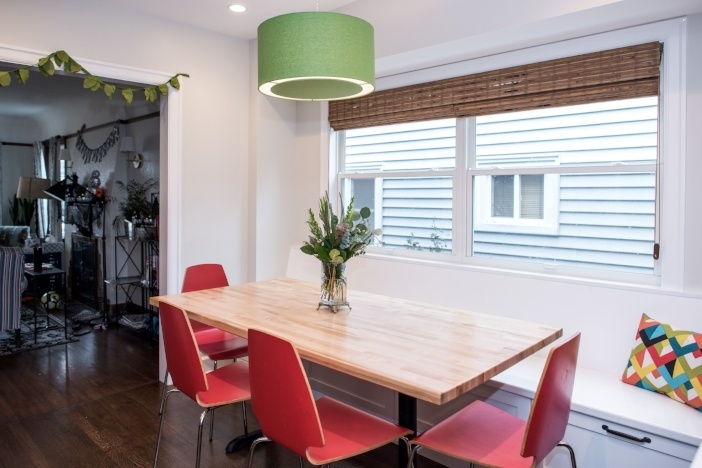 Straight banquette - If you have a dining table set against a kitchen window, then install a banquette along the bank of your kitchen window to utilize the space in the best possible way. Consider these kitchen banquette ideas to optimize seating in your kitchen. If you're in need of kitchen remodeling in Seattle, please contact us.